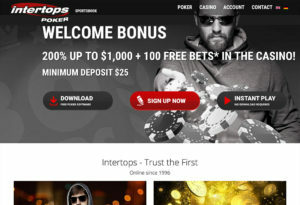 Intertops Poker Room is an online poker room on the Horizon Poker Network. It is licensed by Curacao eGaming. Games include Texas Hold’em and Omaha Hi/Lo.